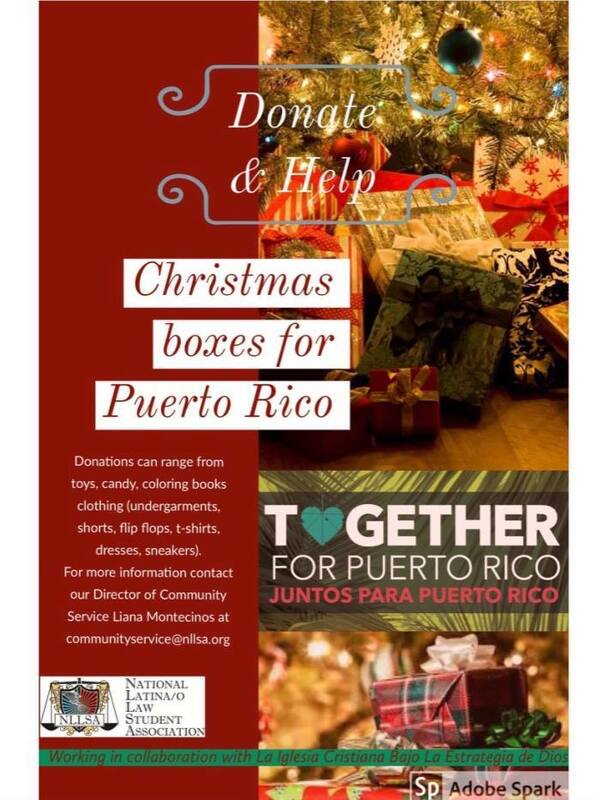 Please join HLLSA’s efforts to participate in this Nationwide drive to collect toys and non-perishable goods to bring kids in Puerto Rico some holiday cheer. Bring unopened toys to our box in the lobby and we’ll take care of packing and shipping them to Puerto Rico! Anything and everything is appreciated!! The box will be in the lobby by the security desk.